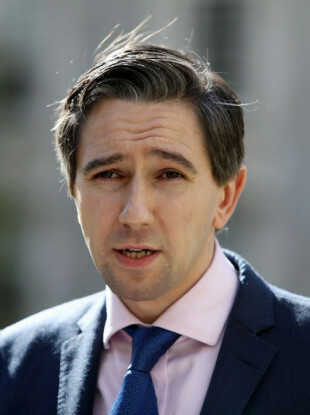 THE HPV TEST won’t be rolled out until next year, Health Minister Simon Harris has confirmed. Speaking in the Dáil this evening, Harris confirmed that its introduction has been delayed. “There’s a lot of work that has been going on, including liaising with other countries that have introduced this and rolled it out. “It is the major priority, that and the continuance of labs so we can keep out screening programme going in the interim,” Harris said. HPV testing is used to look for the presence of human papillomavirus in cervical cells. These tests can detect HPV infections that cause cell abnormalities, sometimes even before cell abnormalities are evident. Smear tests detects abnormal cells that may develop into cancer if left untreated. Like the smear test, the HPV test is done on a sample of cells collected from the cervix. On Tuesday, the HSE confirmed that the latest provisional uptake rate for the HPV vaccine now stands at 65%, an increase of 15% in the last year, following declines in previous years after the spread of misinformation about the vaccine. The vaccine is free for schoolgirls and is expected to become available for boys next year. The introduction of the HPV test was announced in the aftermath of the CervicalCheck controversy. The Scally Review into the scandal was published last week. It examines details of the non-disclosure of information from CervicalCheck audits to patients and what various parties knew and when they knew it. In the review, Dr Gabriel Scally said he is satisfied with the quality of testing done in the laboratories which provide CervicalCheck screening services. He also said there is no reason to discontinue any contracts with the providers and that screening should continue as is until the introduction of the new HPV test. Email “HPV test won't be rolled out until next year ”. Feedback on “HPV test won't be rolled out until next year ”.